Sweet Lifeberry is packed with many nutrients beneficial to you for many years to come. This amazingly nutritious plant is loaded with vitamin C, protein and antioxidants. 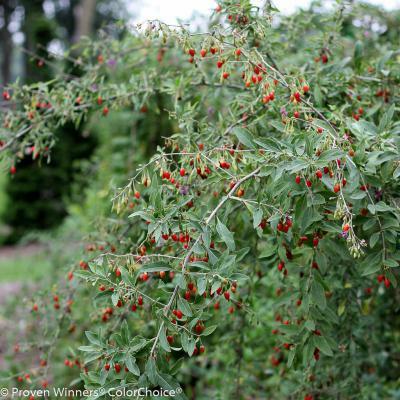 Goji berries are easy to grow in full sun, but tolerates a bit of shade. The plants tolerate some drought once established, but for best fruit set and quality, water regularly. Any well-drained soil will do. Goji naturally wants to sprawl and creep along the ground. To save space and to make harvesting the berries easier, you can bundle the strongest 3-5 canes around a sturdy, tall stake. 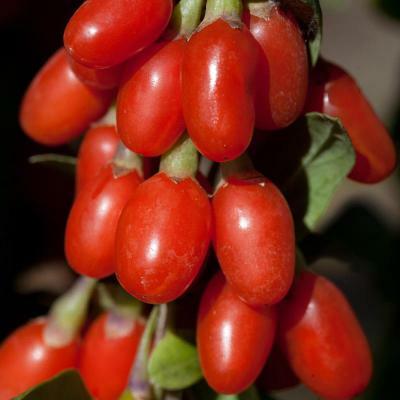 Goji berry plants will not be bothered by insects or diseases, but birds, deer, and raccoons may all find the fruit as appealing as you do. If you notice damage to the fruit or plant, or have a problem with these visitors damaging other plants in your garden, use a netting or repellent, particularly once the plant begins flowering and fruiting. Goji does not require pruning to grow well and produce fruit. However, you may find the plant is more manageable and easier to harvest when its lateral (horizontal) branches are lightly pruned to encourage branching and the production of vigorous new growth. Goji berries begin to ripen in early summer. They should be plucked off by hand when they are brilliant red and taste sweet. They come off the plant easily, without the need for pruners or a knife. 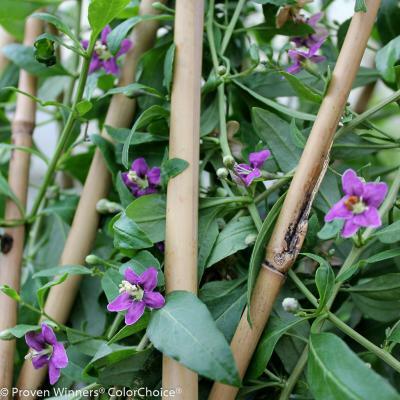 For an abundant crop, apply a fertilizer formulated for flowering woody plants in early spring, just as new growth begins. Rose fertilizer is an excellent, readily available choice.